We are the leading supplier of Handloom Korvai Silk Saree made from high quality material at competitive prices. We are engaged in manufacturing a wide range of garments like Uppada Silk Saree, Silk Butta Sarees, Kanchipuram Silk Saree, Cotton Silk Sarees and more. 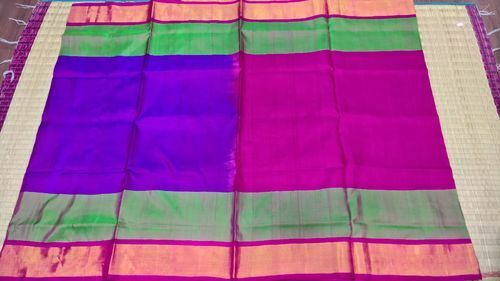 We are eminent manufacturers of Uppada Silk Saree, Silk Butta Sarees, Kanchipuram Silk Saree, Cotton Silk Sarees and more. Keeping in mind the prevailing market trends, we design an exotic array of clothes.